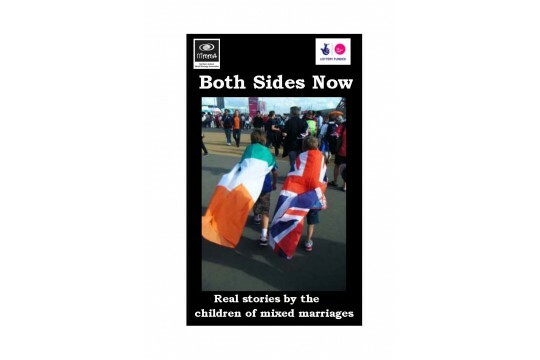 NIMMA's second book, 'Both Sides Now'. NIMMA is a volunteer-based group that has spent more than 40 years fostering reconciliation. NIMMA's main aim is to create tolerance and acceptance of mixed marriage and, ideally, to reach a time of reconciliation when an organisation like NIMMA is no longer required. NIMMA is perceived as an agent for social change in Northern Ireland, is the first port of call for local media on topics such as reconciliation and advocates mixed marriage as a 'normal thing' in a healthy society and one that can provide a blueprint for a truly shared future. It work of reconciliation impacts on thousands of people on this island through pastoral care that radiates through extended families, an educational strategy that targets secondary school pupils and teachers and management of the media.